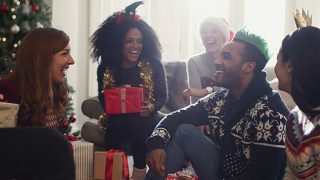 Enjoy family and friends during this holiday season (Alabama NewsCenter/file). 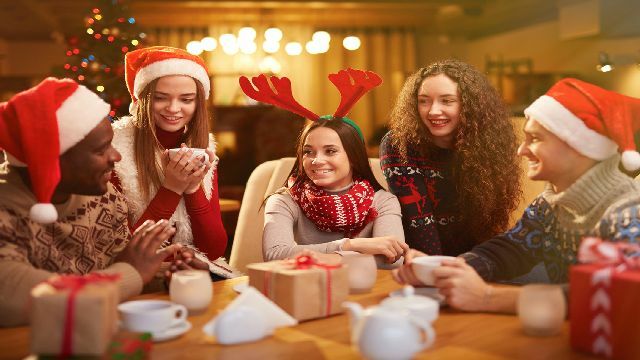 Spread some Christmas joy this weekend at one of these holiday events. Briarwood Presbyterian Church presents “Walk-through Nativity” through Friday, Dec. 9. More than 900 Briarwood members depict the birth and life of Christ in 14 live scenes with narrated drama and live animals, including a camel. After the event, visitors are treated to coffee, hot chocolate and cookies. Groups are welcome and wheelchair and stroller access is available. Attend the free event from 6:45 p.m. until 8:45 p.m. at 2200 Briarwood Way in Birmingham. For more information, visit the website. Enjoy the 31st Annual Christmas Lighted Boat Parade in Gulf Shores and Orange Beach Saturday, Dec. 10, at 5 p.m. The parade route will begin at Lulu’s at Homeport Marina and end at Cobalt in Orange Beach. The event is free. For more information about the boat parade, call 251-968-5349. Birmingham’s Sloss Furnaces will showcase holiday tours through Sunday, Dec.18, from 5 p.m. until 9 p.m. The tours include specialty scenes from “Penguin Land,” “North Pole” and more. Enjoy holiday movies and photos with Santa. Pets are welcome. Admission is $12.50, and children younger than 2 are admitted free. For more information, visit www.slossfurnaces.com/events/. Railroad Park presents Birmingham’s Winter Wonderland through Monday, Jan. 16. The new outdoor skating rink will be open on Christmas and New Year’s Day. The rink will offer a variety of entertainment for birthday and holiday parties, corporate events and more. Click here for the complete schedule. To learn more about the skating rink, follow this link. 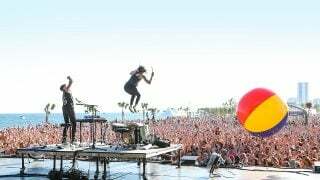 Get ticket information here. Railroad Park is at 1600 First Ave. S. in Birmingham. The Birmingham Ballet will perform the Mutt-Cracker and the Nutcracker at the Birmingham-Jefferson Convention Complex. The Mutt-Cracker is Dec. 9 and the Nutcracker is Dec. 10-11. For ticket information, click here. To find out more about these performances, visit the website. More than 40 holiday Christmas trees and wreaths are on display at the Guntersville Museum through Jan. 1. Community volunteers decorated the trees for the annual Festival of Trees. For a complete list of entertainment, follow this link. The event is open Tuesday through Friday from 10 a.m. until 4 p.m. During the weekend, the event is open from 1 p.m. until 4 p.m. For more information, visit the website. The Guntersville Museum is at 1215 Rayburn Ave. The Huntsville Botanical Garden will feature Galaxy of Lights’ Driving Nights through Saturday, Dec. 31, from 5:30 p.m. until 9 p.m. A magical twinkling icicle forest, holiday village and other exhibits offer live entertainment for the entire family. Click here for the complete schedule. Click here for ticket information or visit the website. The Huntsville Botanical Garden is at 4747 Bob Wallace Ave. Enjoy the Zoolight Safari at the Birmingham Zoo. 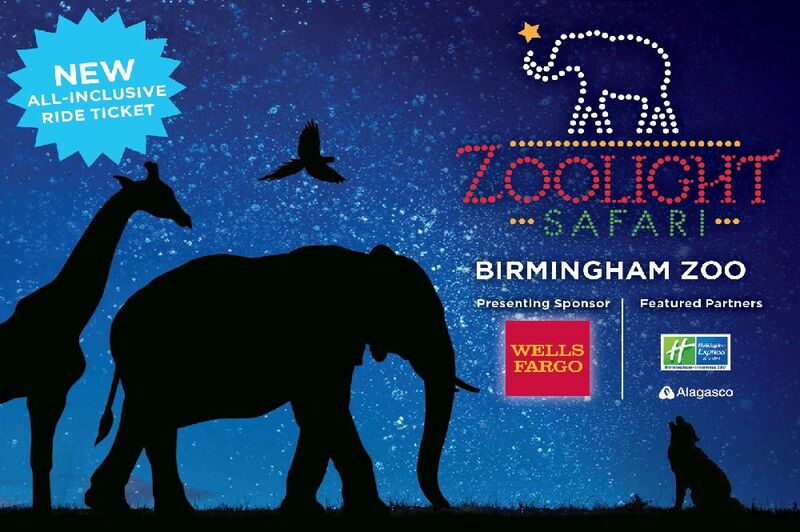 The Birmingham Zoo will feature its annual Zoolight Safari Dec. 9-11, 16-23 and 26-31 from 5 p.m. until 9 p.m. The safari will offer a variety of entertainment, including carousel and train rides, photos with Santa and live music. Get the complete schedule of events here. Follow this link for ticket information. The Birmingham Zoo is at 2630 Cahaba Road. The 22nd Annual Marshall County Craft Club Christmas Show will feature more than 40 artists through Friday, Dec. 23, from 10 a.m. until 5 p.m. Each handcrafted gift can be personalized. Admission is free. The show is at Billy B. Dyar Boulevard in Boaz. For more information, visit Facebook. The Imagination Place Children’s Museum is open through Tuesday, Jan. 31, in Gadsden. Children ages 2 through 10 can play in a pit that feels like snow. The children will enjoy exhibits, train stations and more. The Hardin Center is closed on Christmas Day. For field trip information, call 256-543-2787 or visit the website. The Mary G. Hardin Center is at 501 Broad St. in Gadsden. Spend a part of the holiday season at the Montgomery Zoo and Mann Wildlife Learning Museum’s 25th Annual Christmas Lights Festival. The festival at the zoo is Dec. 8-11 and 15-31 from 5:30 p.m. until 9 p.m. The event includes train rides, sky lifts and more. Enjoy live entertainment and a visit from Santa. Click here for directions and ticket information. Follow the Montgomery Zoo and the Mann Wildlife Learning Museum on Facebook. Call the zoo at 334-240-4900 or the museum at 334-240-4905. 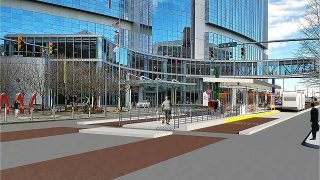 The 10-mile bus rapid transit system will connect Woodlawn and Five Points West through downtown. Have a magical holiday season in Alabama.